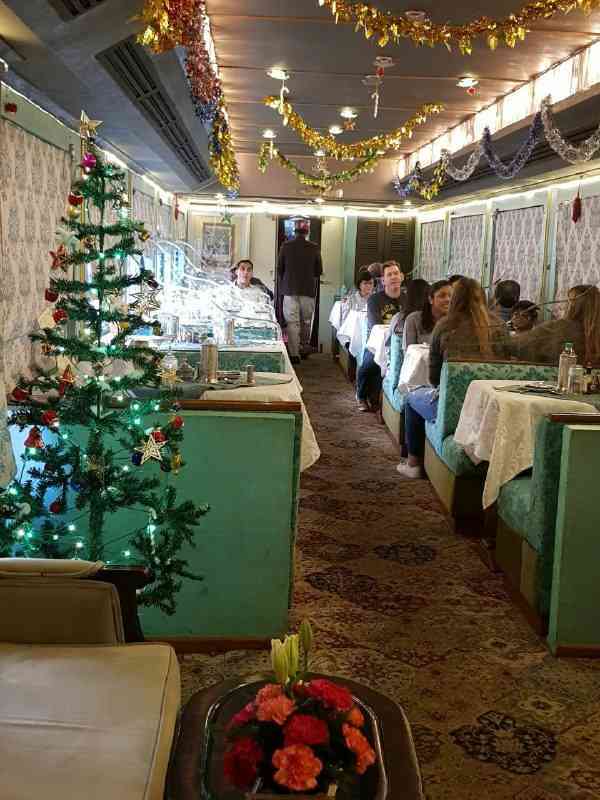 Yet another ‘royal treat’ by Palace on Wheels to its tourists on Christmas! 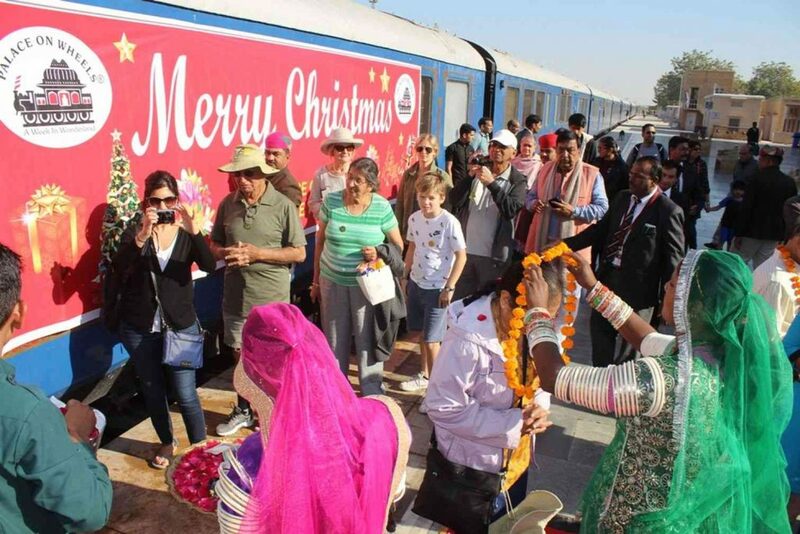 The joy of guests travelling in Palace on Wheels doubled as they received a warm welcome along with a gift from Santa Claus on Christmas at the Jaisalmer Station. The exchange of greetings began as soon as the luxury train reached the Jaisalmer Station. A traditional Tilak Ceremony took place which was then followed by presenting tourists with garlands. The entire station was adorned with velvet carpets while the well-decorated camels awaited for the guests outside the premises. A total of 73 foreign passengers became the part of cake cutting ceremony and were amused to see how the sky dazzled with amazing fireworks in the evening. Cultural programs were the highlights of the day. This was just the beginning! The passengers had a wholehearted time at the grand parties. A pleasant stay was arranged for them at the Sam Dunes, Jaisalmer. 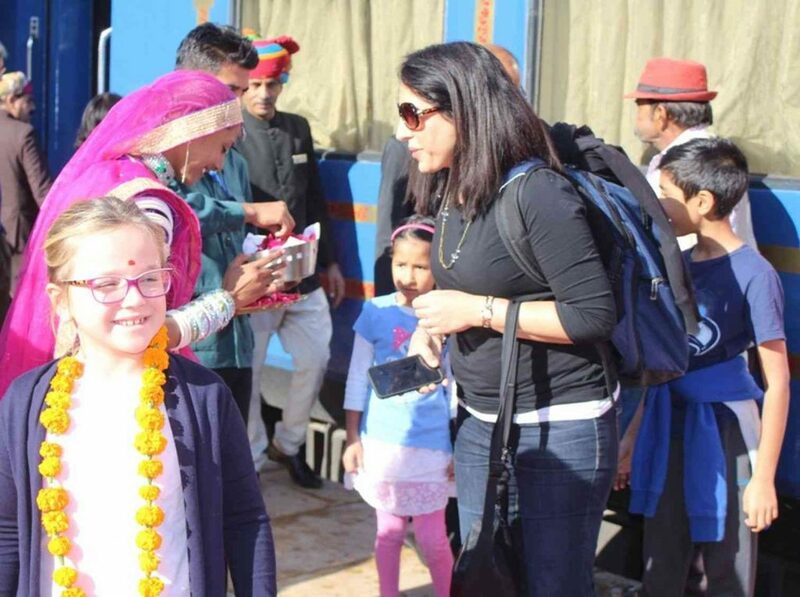 Not only adult passengers but also the kids were acquainted with the rituals of India and how the eve of Christmas is celebrated here. Everybody was in the festive mood throughout the entire journey. The opulent coaches of the train turned into a party hall to make passengers feel at home. Specially arranged plum pudding and turkey added a taste to the fiesta. 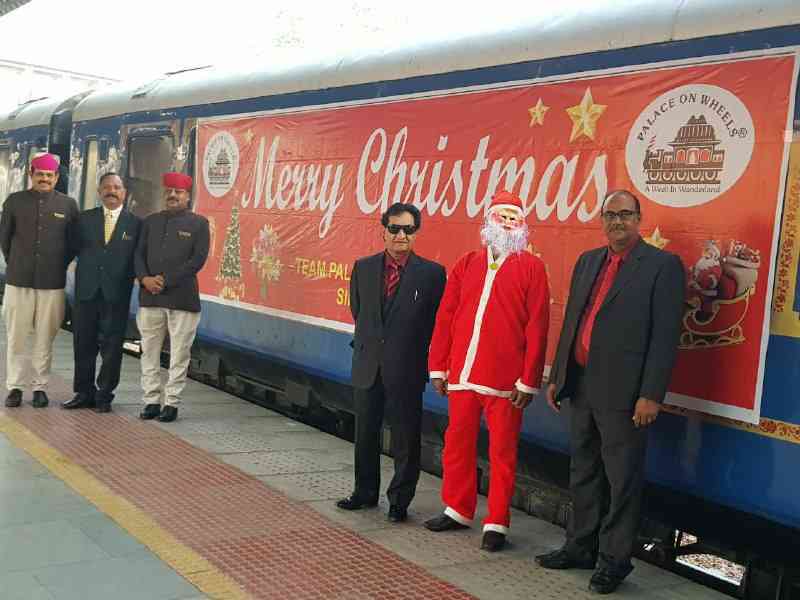 As per Pradeep Bohra, general Manager of Palace on Wheels, a beautiful Christmas tree was adorned in the train. All of the 73 tourists of this luxury train danced to Rajasthani and Bollywood numbers in the hotel. The traditional Kalbeliya dance was very much applauded. Simone Bellucci, an Italian tourist remarked that travelling in Palace on Wheel was a fantastic experience for her. She and her family had a wholesome meal and they enjoyed the services. Dancing with the folk dancers and the Christmas decorations were really admired.